Joan Nickeson, former teacher and member of the Comsewogue School District PTSA, and Cumsewogue Historical Society Vice President. Joan is also an active board member and our blog writer. 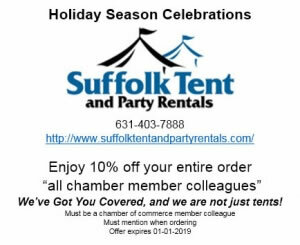 of the Port Jefferson Station/Terryville Chamber of Commerce since 2003 and currently serves as our Membership Director. Colonial Coffee has been serving our community for 51 years. Their very first customer was and still is, Comsewogue Library. 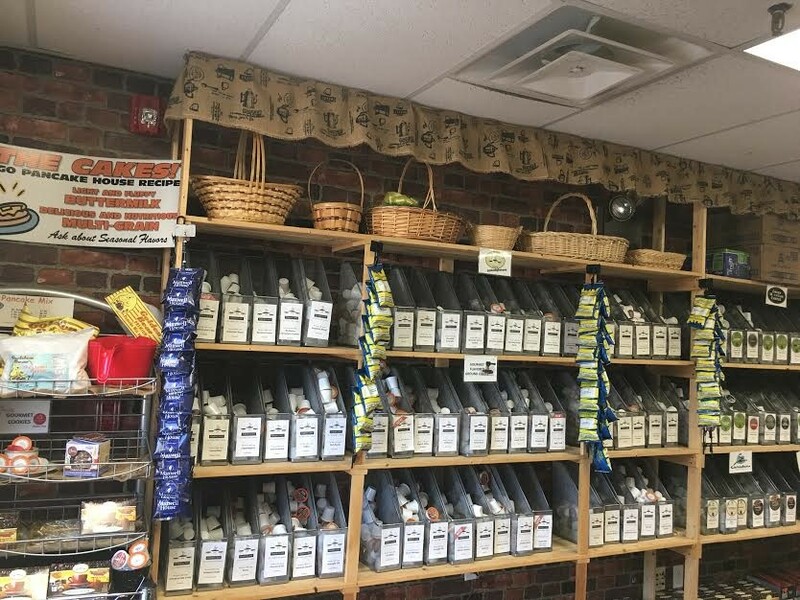 Not only is Colonial Coffee a wholesale distributor to restaurants, delis, bagel shops and offices, but they specialize in single use pods of their own brand called Terrace Cafe Cups. Their beautiful website Terracecafecups.com, makes it a breeze to order. Their delicious coffees come in hundreds of personally developed flavors. For the intrepid type, there is Chocolate Maple Bacon, or German Chocolate. I love the French Vanilla and Southern Pecan. Gary provides all of the coffee, hot chocolate and cappuccino for our events and meetings at the chamber Train Car. No ask is too great, no schedule too tight; he comes through, with arms full in good cheer and often has a volunteer by his side. We are grateful because we know his time is stretched; he is also busy with charitable endeavors, such as his support of the Welcome Friends soup kitchen, wherein every Friday night in Port Jeff, folks gather for a free meal. “It is a humbling experience,” says Gary, whose motto is, Encourage Someone Today. 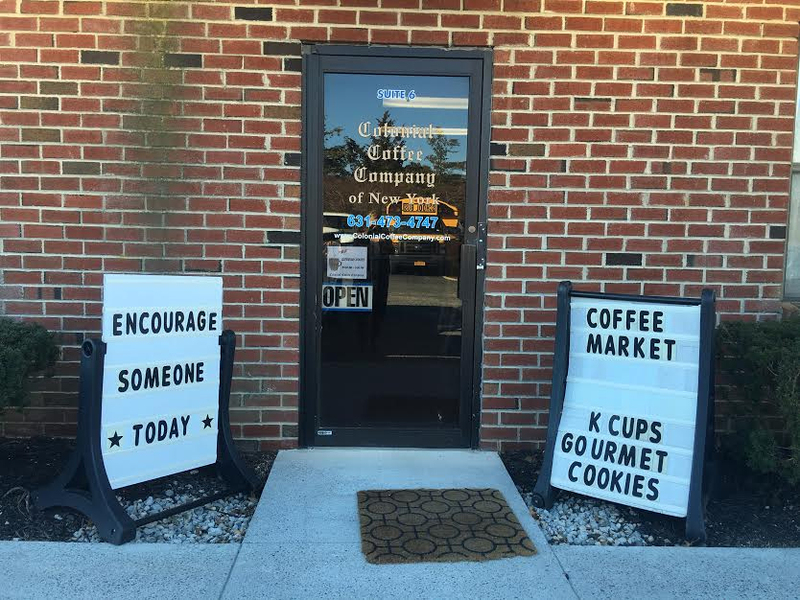 In addition to his Port Jefferson Station coffee market, he has a coffee market in Stony Brook Village. 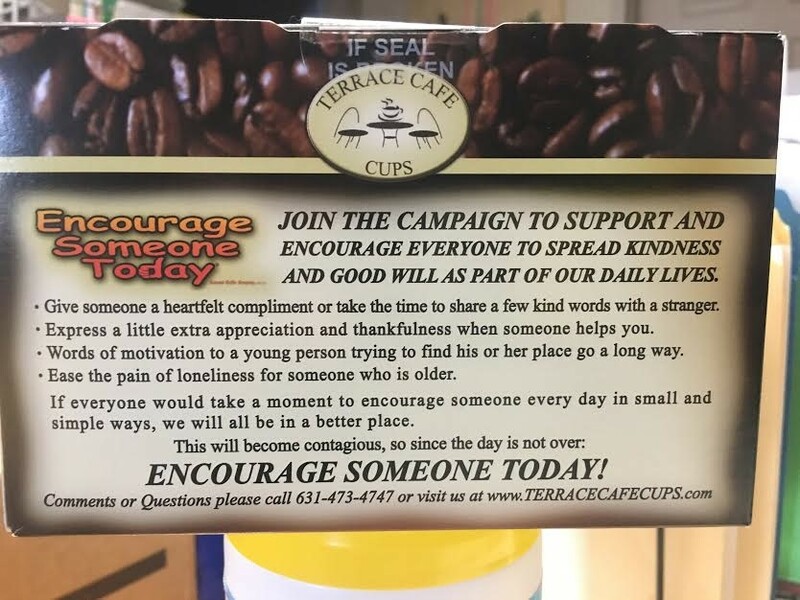 I encourage you to visit Terracecafecups.com, call at 631.473.4747, find him on Facebook, Instagram or stop in one of his stores. 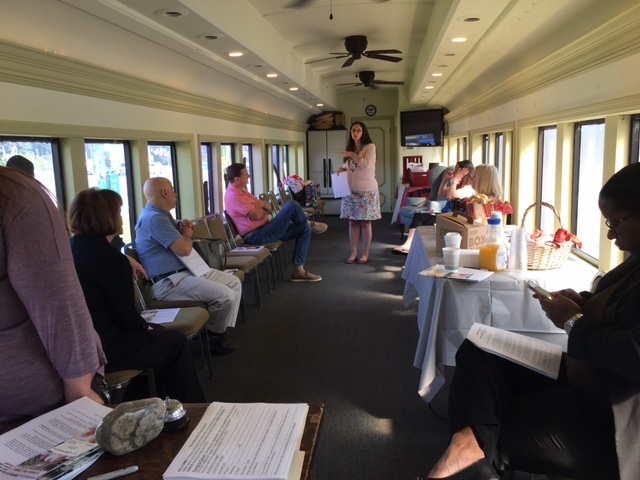 At our June 18, 2018 Quarterly Morning Network Meeting at the PJS/Terryville Chamber of Commerce Train Car, members were treated to a presentation by Tami DeLauro, on Protecting Your Assets and Healthcare. The breakfast meeting was sponsored by the Bethpage Federal Credit Union. Thank you! Tami DeLauro, a long time member of the Port Jefferson Station Chamber of Commerce, is owner and operator of Center for Elder Services LLC– Port Jefferson Station. People of all ages and backgrounds have come to her and her team and received the guidance and services on a wide range of issues. The comprehensive over view we had asked of her dealt primarily with protecting ones assets – an important topic for our professional individuals and business owners. The information we received was mind bending; Now, ‘Entitlement planning’ has great new meaning to us. She has this stuff, down! We are thankful for her presentation -and members of the PJSTville Chamber of Commerce are psyched that they have her number. – – a pride rally, and about June’s morning meeting topic, ‘Covering Your Assets in the face of long Term Care’ being presented by Tami. Everyone should know what a top notch Know Escape event is! 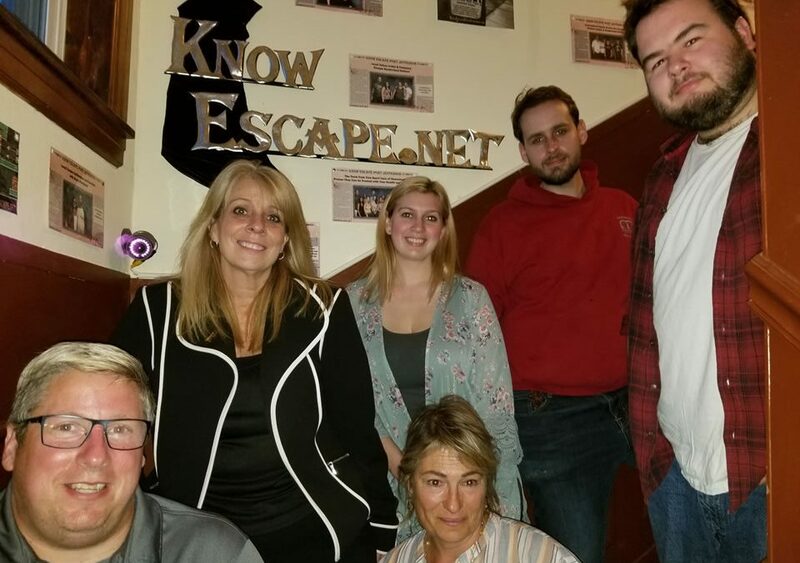 It is undoubtedly true that Know Escape is the best escape room experience on Long Island. They were generous and fed us with an amazing spread. They only do one group at a time – it is well done, organized, spotless-a lovely atmosphere-perfect for team building, office parties, singles events-maybe? This August, 2018, Know Escape will be ‘flipping’ their designs. That means a brand new theme and escapes scenarios – this time with a Masquerade Theme. There was a lovely turnout at the latest Monday Morning Member-Meeting of the Port Jefferson Station/Terryville Chamber of Commerce. Everyone had lots of exciting news to share. Some of the businesses represented were Holiday Inn Express of Stony Brook, Miller Business Center, Meadow Club Caterers, Teachers Federal Credit Union and D James Marketing. Kerri Szabo sales executive, representing Holiday Inn Express of Stony Brook, who was recently written up in Newsday’s ‘Long Island Movers and Shakers’ upon joining the HIE team. New to HIE, she was all too happy to tout the complimentary shuttle offered by HIE to/from Mac Arthur Airport, SBU, the university hospital, Stony Brook train station and anyplace within a three to five mile radius of the hotel. They have also recently renovated. www.stonybrookny.hiexpress.com. Alex Blend representing the Miller Business Center at the Middle Country Public Library in Centereach discussed the 11th Annual Strictly Business Event which is held from 9a-1p among patrons at the library on May 1, 2108. It is a joint initiative with the Brookhaven Chambers of Commerce Coalition that has had great success. Venders will even be treated to breakfast the morning of, at 8am at MCPL. www.strictlybusinesstradeshow.org. Diane Jensen, Branch Manager of Teacher Federal Credit Union of Port Jefferson Station announced TFCU’s partnership with National Energy connection offering a 96 month Solar loan program to purchase your own system for your home. With a 7.99% rate and as little as $0 down, 0 interest for the first 24 months plus no payment for those first two years, members can recover their state and federal solar tax incentives and apply them towards the loan. See PVEnergy@TeachersFCU.org or call 631-698-7000 ext 3700 for more information. Doreen Guma, owner of DJ Marketing of Port Jefferson Station and the Time to Play Foundation discussed her Empower Half Hour-Mastermind of Business Success. This live Facebook discussion takes place on April 3, 2018 and is a coordinated event with the Port Jefferson Station/Terryville Chamber of Commerce; it is open to all chamber members and takes place at the train car on the corner of NYS Rte 112 and Rte 347. www.timetoplayfoundation.org. Taking it all in and taking notes of our news and networking was Tehmina Tirmizi, a second year graduate student working on her Masters of Social work. She is interning in Brookhaven Councilwoman Cartright’s office.